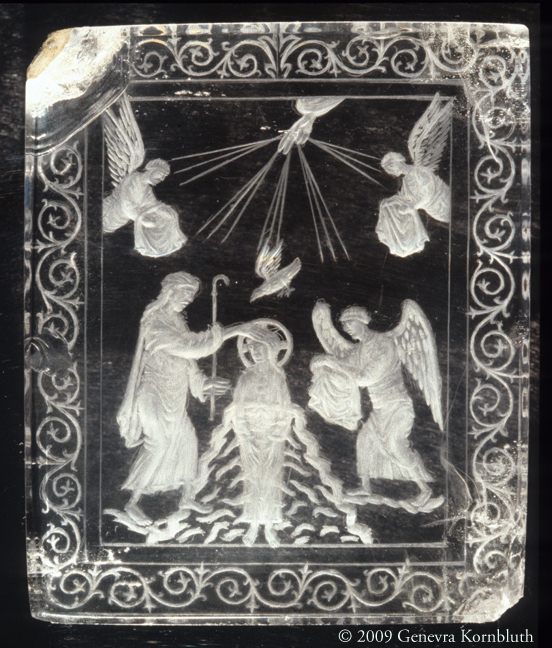 Rock crystal intaglio: Baptism of Christ. Carolingian, c.855-869. Details below document the engraving on the reverse viewed directly and from the obverse, through the stone; the marks cut by a rounded drill; and the artist's preliminary sketching with a hardstone point. Rouen, Musée Départemental des Antiquités.